Please join us Monday, 10/30/17 at Yardley Friends Meeting House on Main Street in Yardley Borough. 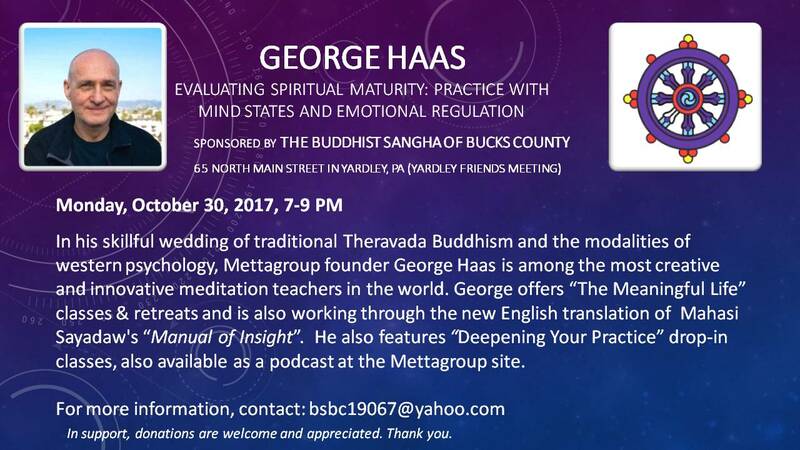 Mettagroup founder, George Haas is a wonderful Dharma teacher and he’ll be with us live in Yardley this time. His topic for the evening is Valuating Spiritual Maturity: Practice with mind states and Emotional Regulation. Click here to listen to George’s YouTube Live (recorded on 5/15/2017), where we streamed and recorded an earlier Dharma talk George shared with BSBC. 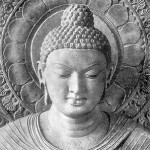 This entry was posted in Home and tagged dharma talk, Guest Teacher, teacher. Bookmark the permalink.